Here’s my socks. I should have taken my camera out with me. I get better results. I am so glad my machine has a hand-wash cycle. 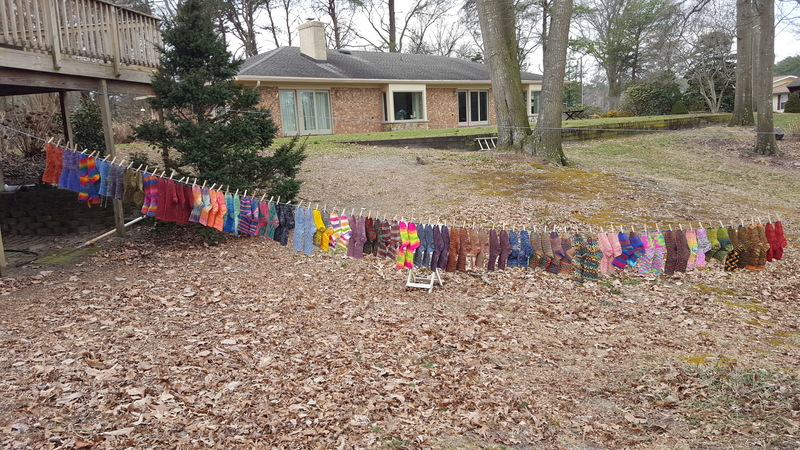 That’s 40 pairs of socks that were washed in one load. There was a bit of a breeze and they dried quickly. They seem to take forever in the basement. 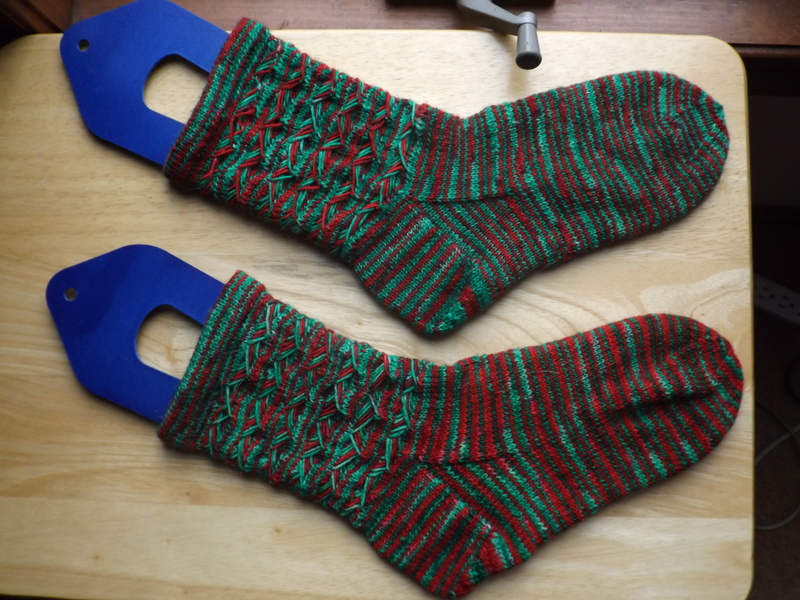 I made Christmas socks for my daughter and me. I had a hard time finding this yarn. I wanted a very red and a very green with no white or light color. It came from the Baltics and it is exactly what I had in mind. The diagonal socks for my daughter are basically a Lucy Neatby design that I have used a few times. 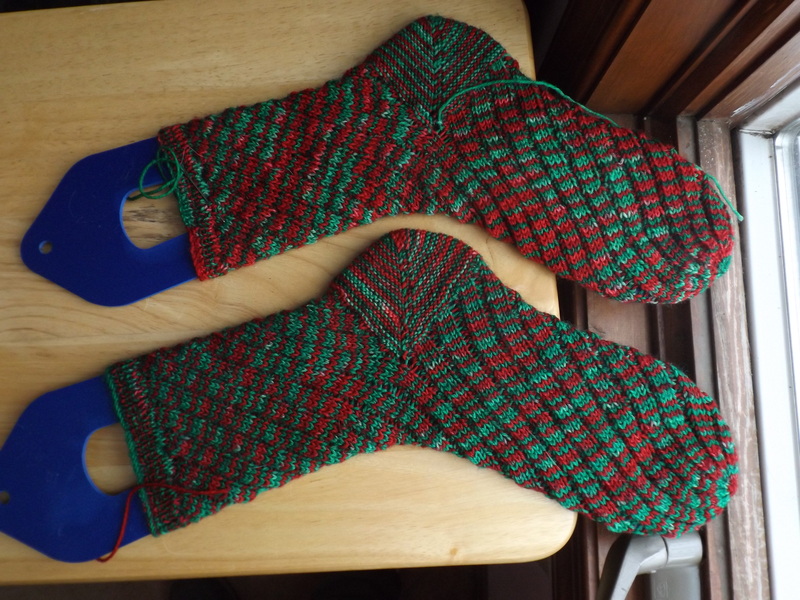 The ones for me are right out of Socktopus by Alice Yu. They took longer to knit than I care think.